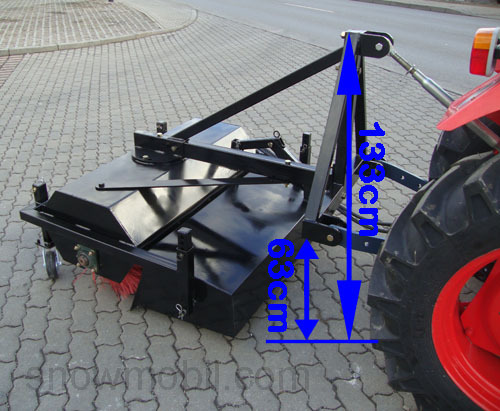 1.700,00 EUR 19 % VAT incl. 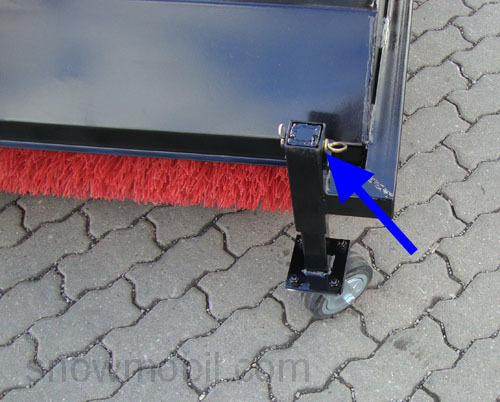 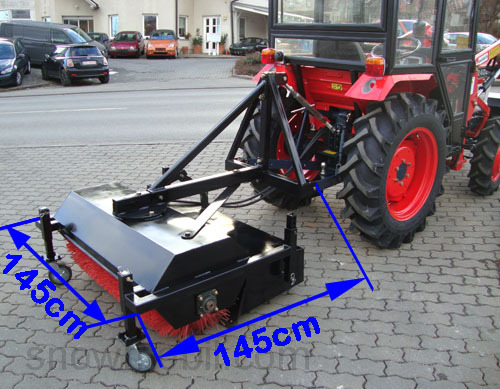 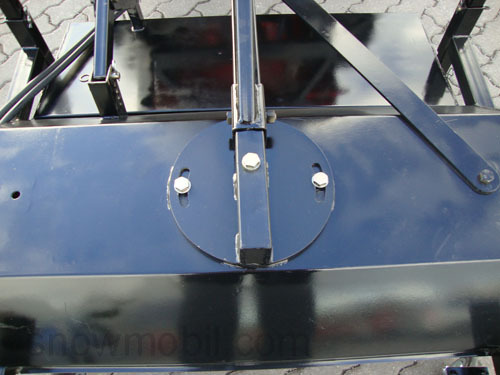 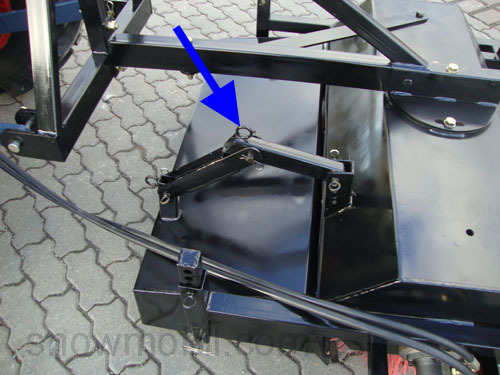 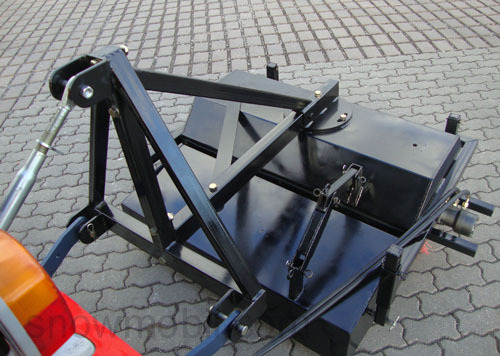 The small tractor should have a rear three-point hitch KATI as well as a hydraulic connection. 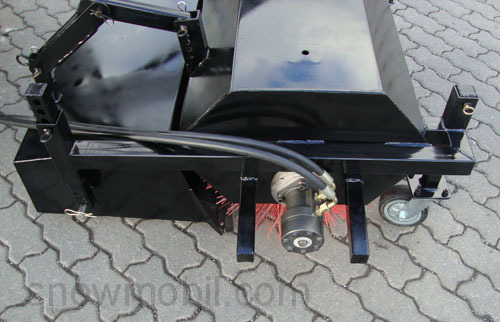 There is a pump performance of 15 l / min required. 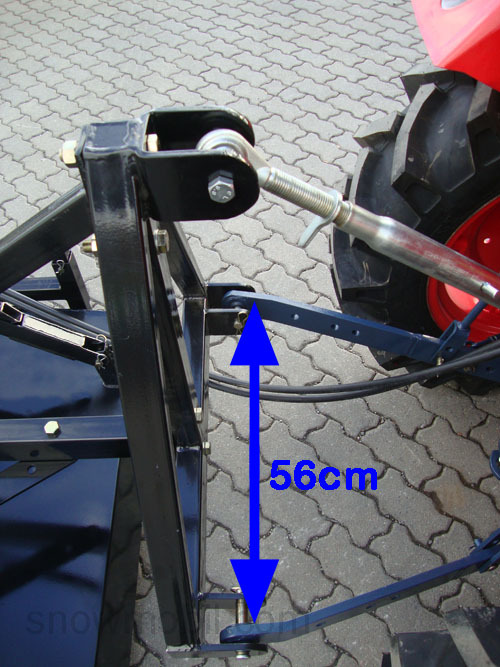 This pump capacity is standard equipment on small tractors. 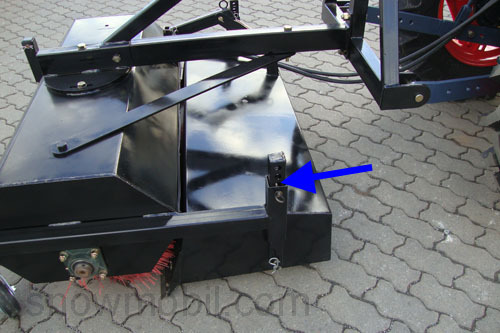 The sweeper can be attached in the front as in the rear. 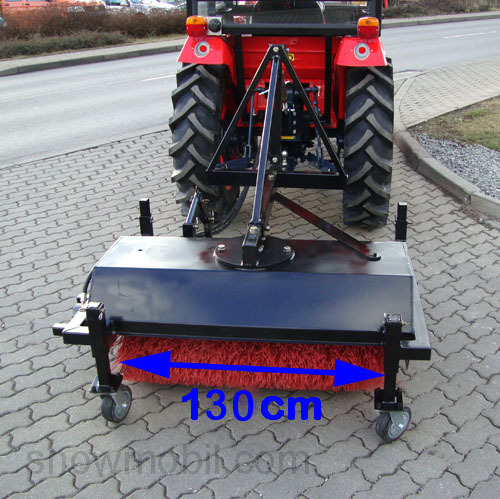 The brush diameter is 50 cm. 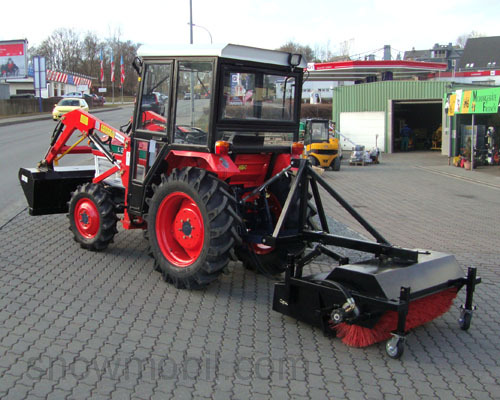 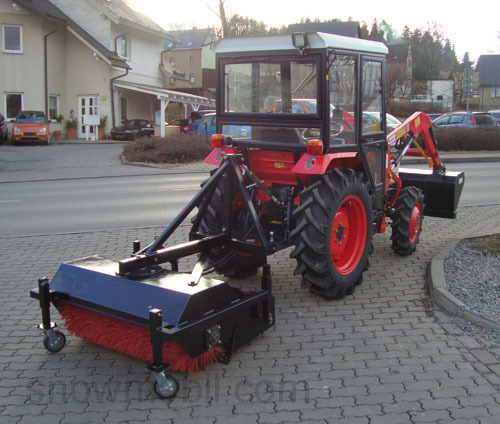 The sweeper is on both sides triple pivotable and has a working width of 1,30 m.
Standard scope of delivery is the sweeper including hoses and waste container.